These days, a smartphone is a necessity that is almost at the same level as food and shelter. That is because the world is fast becoming a smaller planet with the advent of digital technology and its effects on the way we live our lives. Getting connected has never been as important as it has been. We should always have a phone on our persons so that we can easily reach people via local lines or via the internet. In that sense, it is important to have a smartphone that is consistently connected. The best way to stay always connected is by getting a smartphone on a plan. That is because most phone plans of today not only provide you with unlimited calls and texts but also allow you to connect to the internet via unlimited data. In this case, you need a smartphone plan that gives you the best services at a price that fits you. With Republic Plan $15, you are in control of how much you need to pay. One of the most affordable plans you can find anywhere in the country, Republic Wireless offers you unlimited calls and texts on just $15 per month. Yes, you only have to pay $15. An average meal costs a little over $12. But, with Republic, you can already get unlimited calls and texts for just $3 more than what you spend for dinner. While Republic Wireless Plan $15 doesn’t give you data, you can just simply add $5 per gig of data. 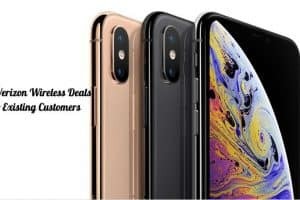 If you want the most basic package of unlimited calls and texts plus 1 gig of data connection, you only have to pay $20 in total. That’s already a bargain in itself for a plan that is as basic as anything else on the market. For one person, that really is one of the most affordable rates in the country. The only knock on this plan is that it isn’t available for iPhone. That’s bad news for iOS lovers out there. Nevertheless, it comes with a wide range of Android phones. That really isn’t so bad considering that you only need to pay $20 a month. The choice is yours if you want more gigs of data but 1 gig is already good enough if you only use your data connection for emergency purposes or for the most important reasons. There is almost no plan on the market that is nearly as affordable yet still gives you a great package of services right now than Project Fi’s Plan $20. That’s right. You only need to pay $20 for a decent phone plan that already offers you unlimited calls and texts all over the country. And, if you want some add-on data, you can just simply pay $10 for every gig you want. It’s that easy. It’s a customizable plan that allows you to control the amount you pay for per month. This plan runs on both Sprint and T-Mobile when it comes to nationwide LTE coverage. You also get a good selection of low to midrange phones running on Android when you go for this phone plan. The only knock, however, is that there are no iPhones available for this plan. Nevertheless, if you are looking for a basic phone plan that already provides you with unlimited calls and texts for a monthly price that is a little more expensive than a meal at a good restaurant, then this one takes the cake. And, if you happen to need an LTE connection, you can just simply add a few gigs of data. Ting offers you one of the most customizable plans you can get on the market. You can even get started for a plan that is only worth as low as $6 per month. Too good to be true, right? Well, it kinda is because you can’t really do anything with that $6 plan. However, everything starts from there. For just one line, your bill starts at $6. After that, you get to pick your add-on services depending on your needs. If you want a plan that can go for 100 minutes of calls per month, you add $3. If you need 100 texts a month, you add $3 again. And if you need 100mb of data on a monthly basis, that’s $3 more. For a total of $15 a month, that is the most basic package you can get from Ting if you want the minimum amount of calls, texts, and data you can get. While Ting sounds really affordable and cheap for one person, there is only so much you can do with 100 calls, 100 texts, and 100mb of data. It will get more expensive if you want more out one of those three services. But, $15 is not so bad for starters if you want a plan that is truly basic. It’s actually good if you don’t call and text a lot and if you already have a consistent Wi-Fi connection both at home and in your workplace. This might not be the most affordable plan on this list but it is arguably the best value that your money can get. For just $35, Boost Mobile offers you a monthly service that includes unlimited calls and texts. The better news is that you are already getting 3 gigs of 4G LTE data on top of those unlimited calls and texts that you are getting. But the best part is that you can get to stream your favorite music limitlessly because Boost Mobile already includes unlimited music streaming in this package. All in all, this is a bargain especially if you want a basic phone plan that can give you unlimited calls and texts and a good amount of data allocation for whenever you are using the internet using Boost Mobile’s connection. While 3 gigs aren’t that much, it is more than what the other carries or service providers can offer you. And if you aren’t satisfied with 3 gigs, you can simply add $10 more for 2 gigs of additional data. So, for a total of $45, you will be getting unlimited calls and texts and 5 gigs of 4G LTE data. This is Boost Mobile’s most basic and most affordable plan for one person. It isn’t the best plan and it isn’t even the cheapest one on this list but it is surely one of the best in terms of the service you are getting for a really affordable monthly rate. So, if you want the bang for your buck for a plan that gives you basic services, this one should be your top choice. 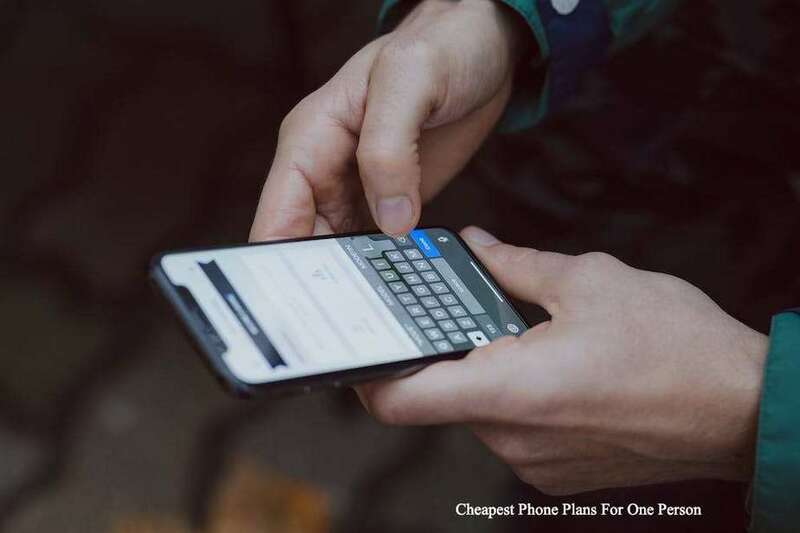 While $45 for a phone plan might seem a little more expensive compared to the $20 plans you saw earlier on this list, you have to consider that you are getting this plan on Sprint. If you don’t already know, Sprint is one of the leading telecommunications company in the entire country and has coverage that is as wide as any other on the market. That said, you are getting a pretty solid plan for a basic monthly fee of $45. And, if you take advantage of autopay discount, you can get it for $40 a month. What do you get with $40 a month? Well, for starters, Sprint offers you unlimited calls and texts when used domestically. You also have unlimited international text in case you have that special someone you constantly want to keep in touch with. And, to top it all off, you get 2 gigs of LTE data connection on one of the country’s top service providers. That is as good as you can get for top-quality service. This plan is available for almost every phone that Sprint offers. Yes, unlike the other plans on this list, it is available for iPhone. If you are an Apple user, you are in luck because you can get your favorite iPhone model together with Sprint’s most affordable postpaid plan. That means that you can enjoy your high-quality phone together with unlimited calls on texts on a service that ranks as one of the best there is in the country. Boost Mobile’s Plan $50 is arguably the best unlimited plan on this list when it comes to the value it brings for the price you have to pay. For only $50 on a monthly basis, you already have a plan that gives you unlimited calls, texts, and data connection. It is only $15 more expensive than Boost Mobile’s Plan $50 and $5 more than what you pay for Sprint’s Plan $45 but you already have a plan that is completely unlimited. On top of the unlimited calls, texts, and data Boost Mobile’s Plan $50 also offers you unlimited 480p video streaming and up to 500kbps music streaming. You can also play games for up to 2mbps. And, if you want to connect your other devices such as your tablet and computer to your phone’s data connection, Boost Mobile also offers you 12 gigs of mobile hotspot. That said, there is a wide range of activities you can do with this plan as it offers you a lot of freebies. Overall, Boost Mobile’s Plan $50 can be the best plan you can get for your money if you want unlimited mobile access. You can basically live on your phone for just $50 a month instead of having to suffer through cheaper plans that can only give you so much for $20 to $30 a month. If you think about, paying $20 to $30 more for this plan is already worth it as it allows you to do a lot of things that cheaper plans can only dream of. It’s like a premium phone plan that comes at a really affordable price. U.S. Cellular offers you this affordable and cheap phone plan that gives you basically unlimited services for a price that isn’t very expensive. For only $55 or $45 if you use autopay, you already get unlimited minutes of the call and also unlimited text messages all over the country. The plan also offers you 4G LTE data connection for up to 2 gigs per month. It’s a plan that is similar to Sprint’s $45/40 plan but is a little bit more expensive. While it is affordable, this plan doesn’t offer as much power as Boost Mobile’s Plan $50. It also is just a slightly more expensive version of Sprint’s Plan $45/40. 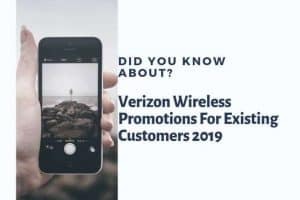 However, what you have to consider is that U.S. Cellular is one of the top companies in the United States in terms of coverage and services. In that sense, you will be getting premium quality services and connection even if you are in the middle of nowhere. That said, you may be better off with other plans that offer you unlimited calls, texts, and data connection. However, if you value quality and also don’t mind having only 2 gigs of 4G LTE data per month, this one is already a good enough plan for one person. After all, if you are consistently in a location with good Wi-Fi connection (such as in your office or at home), you probably won’t be needing unlimited gigs of data connection. This is the third Boost Mobile plan that has made it to our list. Its Plan $60 is also a good value for your money as it offers you everything that Plan $50 can give you. However, for just $60, it gives you unlimited 1080p video streaming as well as music streaming for up to 1.5Mbps. You can also play games for speeds of up to 8Mpbs. In this sense, it is simply a more powerful version of Boost Mobile’s Plan $50. In all other aspects, there isn’t much of a difference between this and Plan $50. You also get unlimited calls and texts as well as unlimited 4G LTE data. However, another big difference is the fact that you get 30 gigs of mobile hotspot data allocation with this plan. That’s right. You get more than double of what Plan $50 offers you. That means that you can connect your other devices and also share your phone’s internet connection with your friends without having to worry about capping off your mobile hotspot data. And, if you look at it, there is already a whole lot you can do with 30 gigs of mobile hotspot data. That said, Boost Mobile’s Plan $60 is a plan that best fits those who are looking for a phone plan that can provide them with premium services at a good price. It might not be the most affordable phone plan on this list but it is a high-quality one for a price that really isn’t all that much compared to other plans that offer you the same type of premium services. It is technically an upgraded version of Plan $50 in the sense that you get more hotspot data and unlimited access to high-definition media. Sprint’s Unlimited Basic plan costs $60 a month for one person. As you might have already guessed, this plan gives you unlimited calls, texts, and also data connection on Sprint’s high-speed nationwide 4G LTE coverage. You also get other services such as Hulu and standard definition video (480p) streaming. Finally, Sprint offers you unlimited music streaming for up to 500 kbps and mobile gaming of up to 2 Mbps. In that sense, it similar to Boost Mobile’s Plan $50 but is $10 more expensive. The difference, however, is that the mobile hotspot data allocation you get is too limited. Sprint Unlimited Basic only offers you 500mb worth of mobile hotspot. While you aren’t expected to be using mobile hotspot very often, 500mb is just too limited for you to be able to do anything with your computer or with your other devices that are connected to your mobile phone’s hotspot connection. That said, Sprint also has other redeeming factors that make this plan worth your while. When you are in Mexico or in Canada, you can get 5 gigs worth of 4G LTE data. You also get global roaming in more than 200 destinations all over the world. In that sense, you get more quality services with Sprint’s Unlimited Basic if you are a globetrotter. But, if the value for price is all you want out of an unlimited plan, then there are other plans that are more affordable but can still offer you the same kind of service as Sprint Unlimited Basic’s. Pay-as-you-go plans are really simple and customizable for any kind of phone user. The key here is that what you will be paying per month depends entirely on your usage. In that sense, this plan can either be too cheap or too expensive for you. But, if you are someone whose usage fluctuates on a month to month basis, it might be a plan that best suits what you need from a mobile phone plan. In this case, T-Mobile’s pay-as-you-go plan starts out at $3 per month for 30 combined minutes/texts. So, if you think you can only spend about 30 combined minutes and texts for one month, then you will only be paying $3. However, things get more expensive the more you use your phone’s services. For every text or minute of call spent over your allocated 30 minutes/texts, you will be charged 10 cents. So, if you are a heavy texter or caller you might find yourself spending more money. For example, if you have a total of 500 calls or texts in excess of the 30, you will be charged an extra $50. The worst part is that this doesn’t include data. So, if you want to add on data, you need to pay $5 of 500mb for one day or $10 for 1 gig for an entire week. That said, what you will be paying for in this pay-as-you-go plan by T-Mobile really depends entirely on how much you use your phone. It is a double-edged sword that can either be too expensive or too cheap. So this plan really is for people that are quite indecisive when it comes to what their phone plan can offer them. The good thing about it is that you really only have to pay for what you need. Sometimes, other phone plans offer you a lot of unlimited and extra services you probably won’t be needed if you have a consistent Wi-Fi connection or if you don’t use your phone that much. In that sense, you might end up wasting $50 a month. But, if with a pay-as-you-go plan, you really just have to pay for the services that you use. It’s so simple that you don’t have to worry about paying a lot if you didn’t even use your phone all that much for a month. 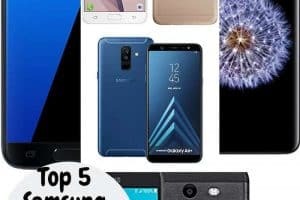 While we have based our list mainly on price and on what are the cheapest phone plans available on the market today, it still boils down to your usage and to what kind of services or offers you want your pan to give you. For example, Boost Mobile’s Plan $50 might be the best value for your money but it might still go to waste for someone who doesn’t need unlimited services. Likewise, Republic’s Plan $15 might not be the best offer for someone who uses his/her phone’s services a lot. In conclusion, deciding what the cheapest phone plan on the market can still be quite subjective depending on the person’s needs. But, if you are simply looking for a plan that provides you basic services because you don’t use your phone all too often, then you might already be contented with the cheapest plan available on the market.